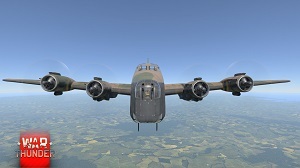 The British four-engine Stirling Mk I will be added to the game as a rank 3 bomber and will precede the Lancasters in the tech tree. We planned to add this aircraft to the game for a long time: although it didn’t serve for very long in the Royal Air Force, it started a fundamentally new era of British aircraft design and was a plane that should be very interesting to players because of its greatly increased lifting capacity and its durability. Because of the limitations related to the standard sizes of aircraft hangars, Britain’s Air Ministry forbade designers from creating a wing spanning over 100 feet. However, exceeding this limit was simply essential to allow the creation of such a heavy-lifting bomber. 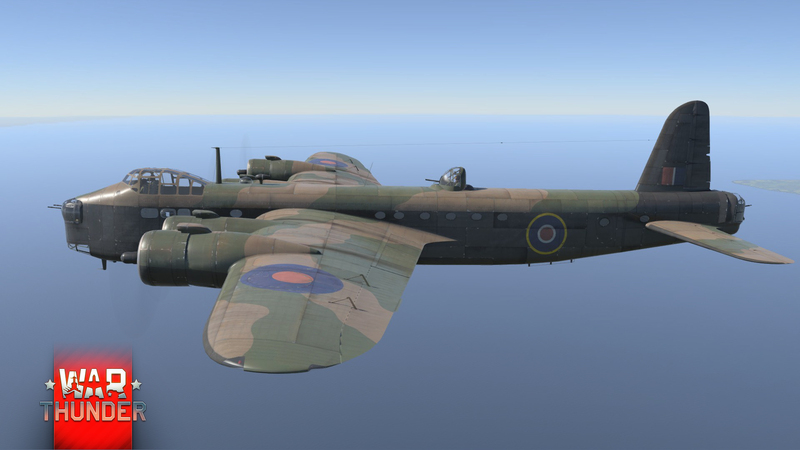 In the end, the Stirling received a very unusual appearance, with a clearly elongated fuselage and a short wing in comparison to it. 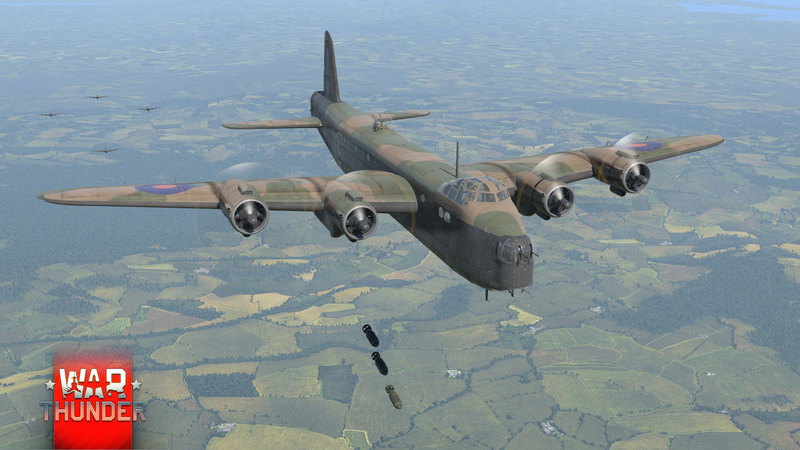 Naturally, this had to have a negative effect on the bomber’s flight characteristics. The designers, clearly making fun of their military customers, fit their bomber into the hangar by designing a wingspan equal to 99 feet and 1 inch. In this context, the company name “Short” is quite amusing, with such a short wing and such a long fuselage. In the end, the standard hangar width had to be increased all the same, and the Stirling was deservedly replaced by the Lancaster. 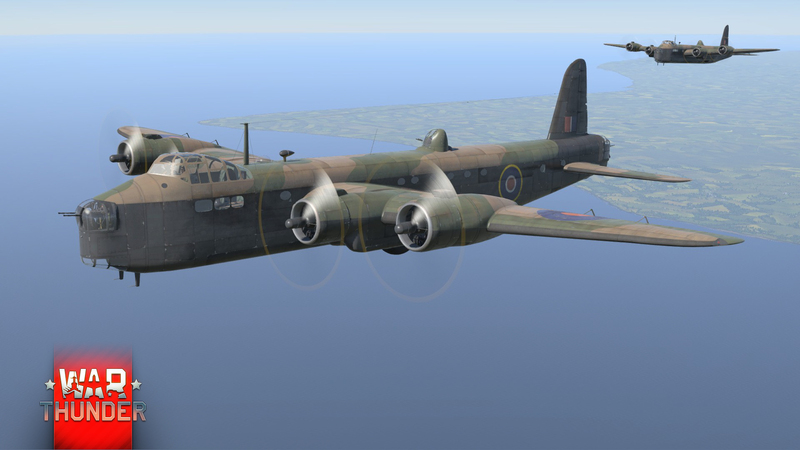 It was fun to make the 3D model of this heavy four-engine bomber. This aircraft’s size is really impressive. People standing next to its wheel look like toy soldiers. A wheel pair was installed in the tail section of the aircraft. 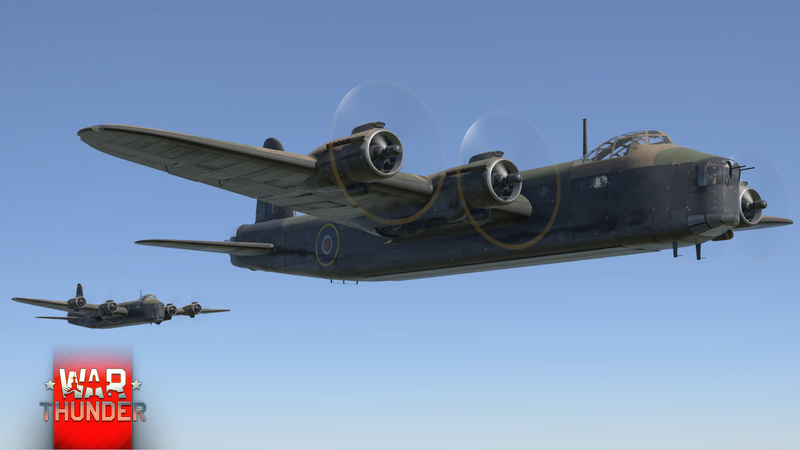 A defining characteristic of this bomber is its massive flaps. 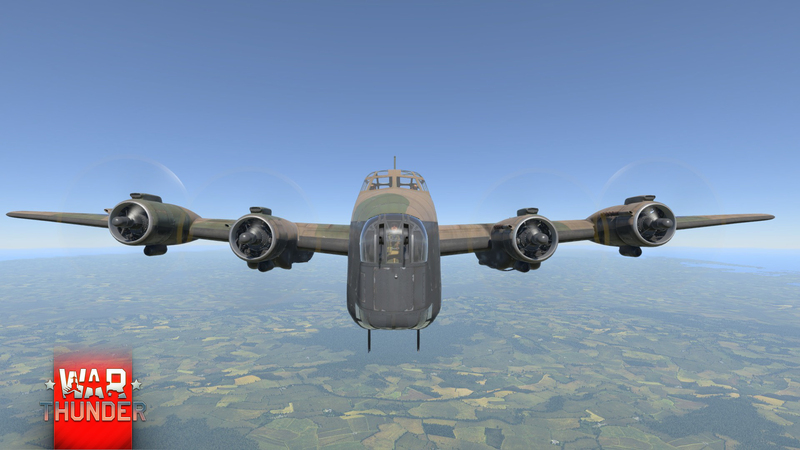 They were attached to the rear spar and had an unprecedented width, almost half of the wing chord. Which was also far from small. 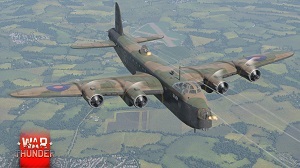 You can see the similarity between this aircraft and the later British bombers. 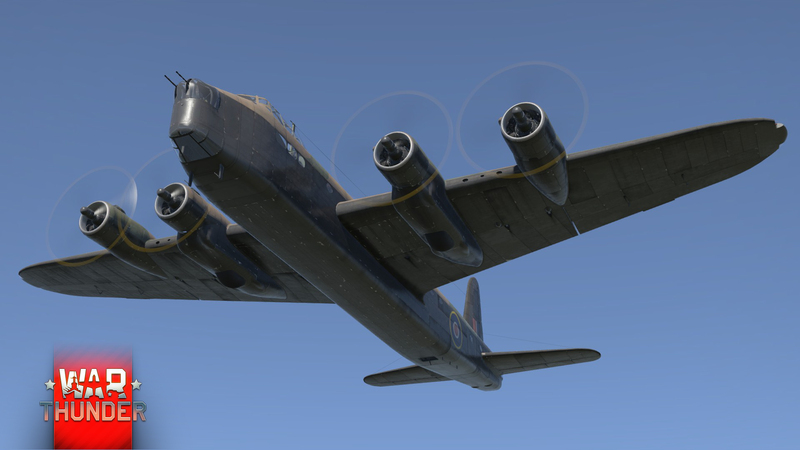 From the side, it’s not hard to confuse it with a Lancaster. But it’s an entirely different bomber. Its tail was based on a classical design and the aircraft has a different nose and wing. The aircraft’s model has been drawn in great detail, the artists outdid themselves. 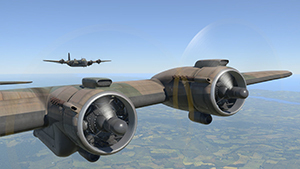 Very soon, you’ll be able to see their handiwork in your hangar!